The first population-level study on the link between gut bacteria and mental health identifies specific gut bacteria linked to depression and provides evidence that a wide range of gut bacteria can produce neuroactive compounds. Jeroen Raes (VIB-KU Leuven) and his team published these results today in the scientific journal Nature Microbiology. In their manuscript titled "The neuroactive potential of the human gut microbiota in quality of life and depression," Jeroen Raes and his team studied the relation between gut bacteria and quality of life and depression. The authors combined faecal microbiome data with general practitioner diagnoses of depression from 1,054 individuals enrolled in the Flemish Gut Flora Project. They identified specific groups of microorganisms that positively or negatively correlated with mental health. The authors found that two bacterial genera, Coprococcus and Dialister, were consistently depleted in individuals with depression, regardless of antidepressant treatment. The results were validated in an independent cohort of 1,063 individuals from the Dutch LifeLinesDEEP cohort and in a cohort of clinically depressed patients at the University Hospitals Leuven, Belgium. Prof Jeroen Raes (VIB-KU Leuven) says, "The relationship between gut microbial metabolism and mental health is a controversial topic in microbiome research. The notion that microbial metabolites can interact with our brain—and thus behaviour and feelings—is intriguing, but gut microbiome-brain communication has mostly been explored in animal models, with human research lagging behind. In our population-level study we identified several groups of bacteria that co-varied with human depression and quality of life across populations." Previously, Prof Raes and his team identified a microbial community constellation or enterotype characterized by low microbial count and biodiversity that was observed to be more prevalent among Crohn's disease patients. In their current study, they surprisingly found a similar community type to be linked to depression and reduced quality of life. Prof Jeroen Raes (VIB-KU Leuven) says, "This finding adds more evidence pointing to the potentially dysbiotic nature of the Bacteroides2 enterotype we identified earlier. Apparently, microbial communities that can be linked to intestinal inflammation and reduced wellbeing share a set of common features." The authors also created a computational technique allowing the identification of gut bacteria that could potentially interact with the human nervous system. 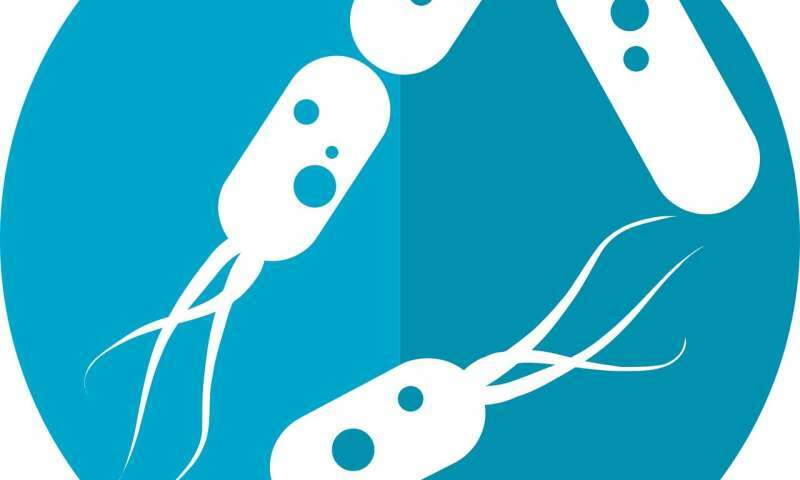 They studied genomes of more than 500 bacteria isolated from the human gastrointestinal tract in their ability to produce a set of neuroactive compounds, assembling the first catalogue of neuroactivity of gut species. Some bacteria were found to carry a broad range of these functions. Mireia Valles-Colomer (VIB-KU Leuven) says, "Many neuroactive compounds are produced in the human gut. We wanted to see which gut microbes could participate in producing, degrading, or modifying these molecules. Our toolbox not only allows to identify the different bacteria that could play a role in mental health conditions, but also the mechanisms potentially involved in this interaction with the host. For example, we found that the ability of microorganisms to produce DOPAC, a metabolite of the human neurotransmitter dopamine, was associated with better mental quality of life." These findings resulted from bioinformatics analyses and will need to be confirmed experimentally, however, they will help direct and accelerate future human microbiome-brain research. Jeroen Raes and his team are now preparing another sampling round of the Flemish Gut Flora Project that is going to start next spring, five years after the first sampling effort.